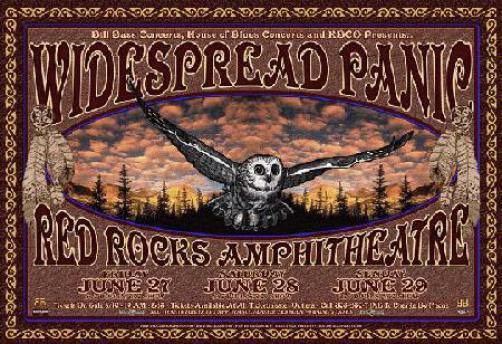 Original concert poster for Widespread Panic at Red Rocks in Denver, CO. June 27-29 2003. 12.5x17.5 on card stock. Hand-Signed by the artist Jeff Miller.